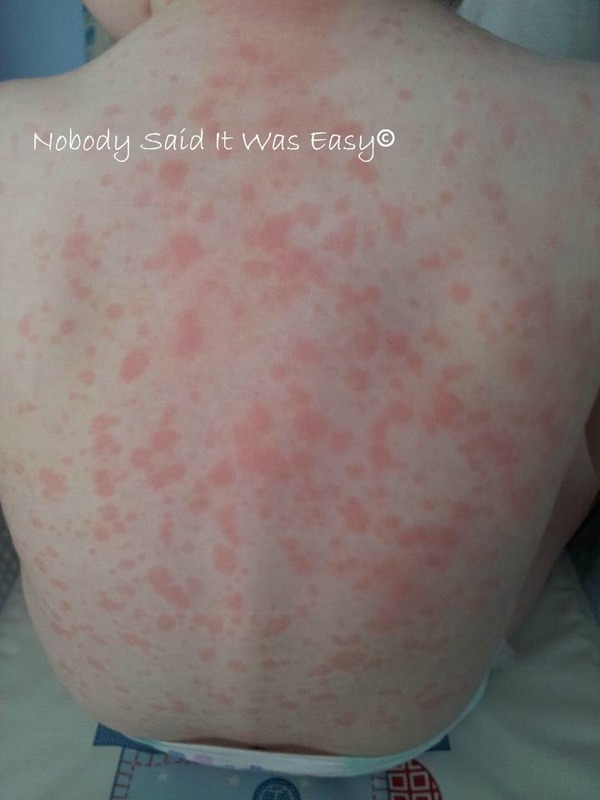 He also has it like this over his chest, and it’s spread to his neck, face, legs, hands, and feet. Other than this, the only other reaction he’s had is fatigue and tiredness (he’s had his gastroenteritis but that was unrelated, and this reaction overlapped with it). We took him to the doctors today just to get it checked over (we’re becoming regulars there lately! ), and they confirmed it was just a reaction, but to keep an eye on it. Do I regret him having the injection? No – for the simple reason, if his reaction to it is this bad, what would happen if he actually did contract measles?